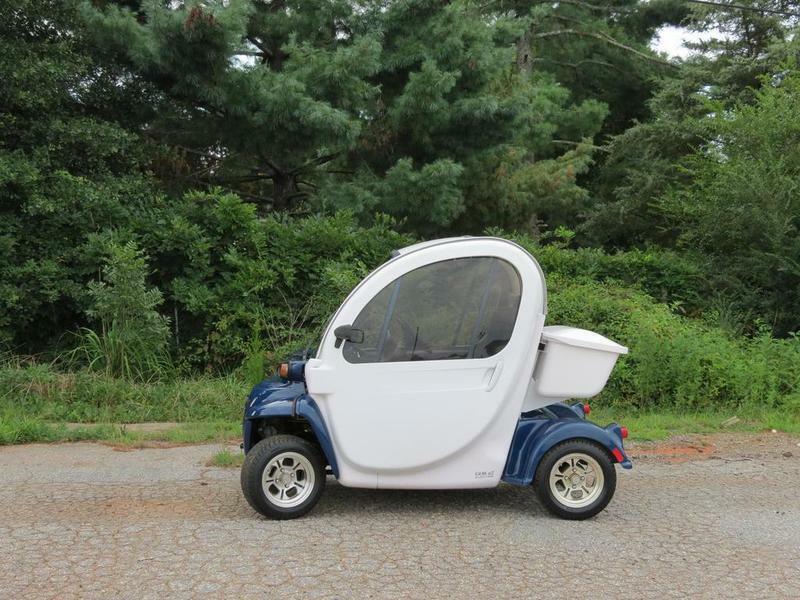 With its sturdy build, generous ground clearance and 1,400 lb. 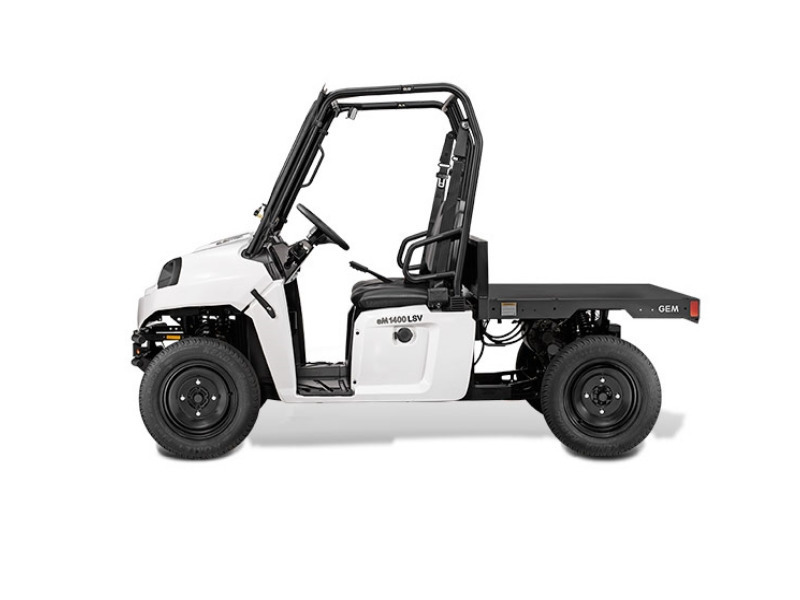 payload capacity, the GEM eL XD is your light-utility workhorse. Pick the carrier and bed options that fit the unique demands of your job. GEMs come standard with a 1 kW onboard charger that plugs into any 110V outlet. To charge 3 or 6 times faster, upgrade to the J1772 connector found in most public charging stations. 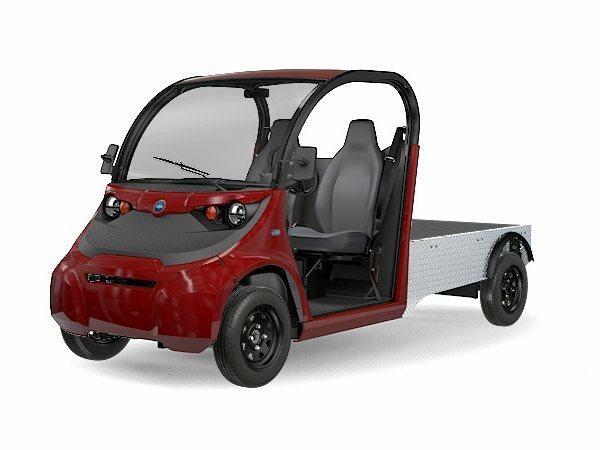 2015 GEM eL XD, GEM® eL XD: Brains and Brawn - Powered by Batteries The GEM® eL XD electric utility vehicle offers zero-emission design, functional indoors and out.Superior performance to haul up to 1,100 lbs of cargo with ease.2 passenger seating70" x 48" diamond plateUp to 40 mile rangeFeatures2 Passenger Ergonomic Seating: Spacious cab offers comfortable riding for two.LSV Compliant: The GEM eL XD meets all the legal safety requirements to be operated on roads posted 35 mph or less.70" x 48" Flatbed: Haul up to 1,450 lbs72-volt Battery System with Onboard Charger: Charge your vehicle anywhere there is a 110v standard household outlet available.SpecificationsDry Weight: 1,550 lb.GVW: 3,000 lb.Payload Capacity: 1,450 lb.Width: 55 in.Length: 144 in.Height: 70 in.Cubic Feet of Cab: 47 ft. ³Wheelbase: 114 in.Turning Radius: 17 ft.Ground Clearance: 8 in.Tires: 12 in.Range: Up to 40 milesTop Speed: 25 mphEngine: Electric, 7 hpPassengers: 2OptionsRear WindowFramed Canvas Door - Gray (w/Window)Double Hinged Hard Door (w/Window)Stakeback - Long BedFold Down Stakeback - Long BedLadder RackStake w/ Ladder RackMax Box - Cargo DoorDual Tool ChestChrome Front BumperRugged Front BumperBeacon Security LightAmber Security LightRa Power Pro 410 Watt Solar Panel14" Street Polished Aluminum WheelsHeater/DefrostSteering: Left Hand LockSteering: Left Hand TiltSteering: Right Hand LockSteering: Right Hand DriveOption PackagesClassic: The Classic Package contains a windshield washer kit and mud flapsDeluxe: The Deluxe Package contains a windshield washer kit, mud flaps, chrome license plate light, headlight trim and hood decals, and deluxe steering wheel.Luxury: The Luxury Package contains a windshield washer kit, mud flaps, chrome license plate light, headlight trim and hood decals, deluxe steering wheel, embroidered floor mats, and stereo package.Dealer Accessories12" Chrome Turf Wheel and Tire12" Aluminum Turf Wheel and TireOverhead Stereo SystemDual Tool Chest with TailgateLadder Rack Kit2 Passenger Gray Soft Weather EnclosureRescue Skid with SeatToolboxeLXD Car CoverRugged Rear BumperNOTES:Range on all Polaris® electric vehicles with vary depending on temperature, grade, payload and driving style. 2016 GEM e4, GEM® e4: A versatile solution for tours and recreation. GEMs come standard with a 1kW onboard charger that plugs into any 110 V outlet. 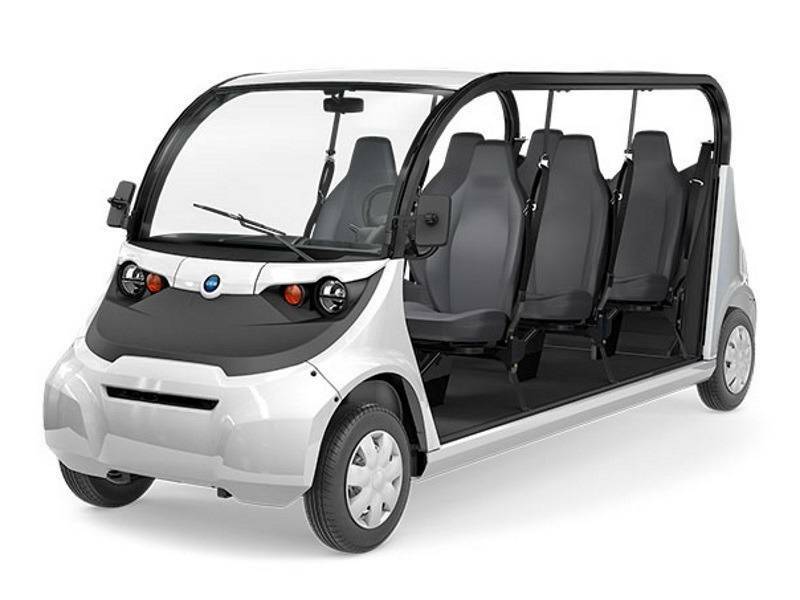 To charge 3 or 6 times faster, upgrade to the J1772 connector found in most public charging stations.A versatile solution for tours and recreationCompact and maneuverable the versatile e4 carries four people in spacious comfort with 43 inches of leg room for an exceptional ride.Rear Carrier Options (vs Flat bed design)Fast Charge OptionFeaturesSpacious and Comfortable: Enjoy a smooth ride with 43 of legroom, an improved suspension, and optional electronic power steering.More Safety Features: Feel confident while driving with standard features like 3 pt-safety belts, street tires, automotive-grade glass windshield and an occupant protection system that meet the SAE roof crush test specification.Sustainable and Smart: Experience quiet, zero-emissions electric power for just $.03 per mile operating costs, plus choose from a variety of battery and charger options to meet the demands of your specific application needs.Flatbed Design: The GEM e4 is uniquely designed with a flatbed which can be customized in many configurations to assist in a variety of specific applications. 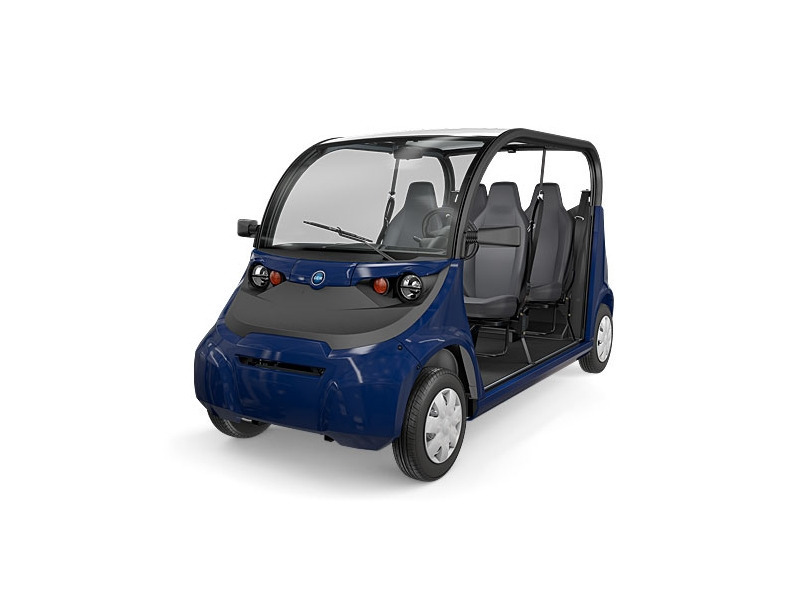 Choose from stake sides, enclosed carrier and more.Smart Power: Choose the battery that is right for you. Flooded, Maintenance-Free, Distance Maintenance-free or Lithium-Ion.RiderX connectivity: The RiderX application highlights the GEM approved residential roads where the vehicle can legally be driven. 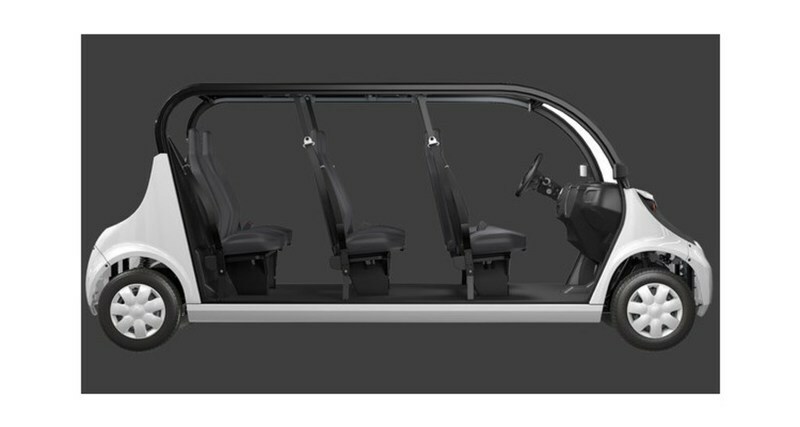 This app can also access driving efficiency, charge status and real-time range expectations.SpecificationsElectric: 6.7 hp / 5.0 kWSeating: 4 peopleDry Weight: 1,400 lb. / 635 kgGVW: 2,500 lb. / 1134 kgPayload Capacity: 1,150 lb. / 522 kgWidth: 55.5 in. / 1410 mmLength: 135 in. / 3429 mmHeight: 73 in. 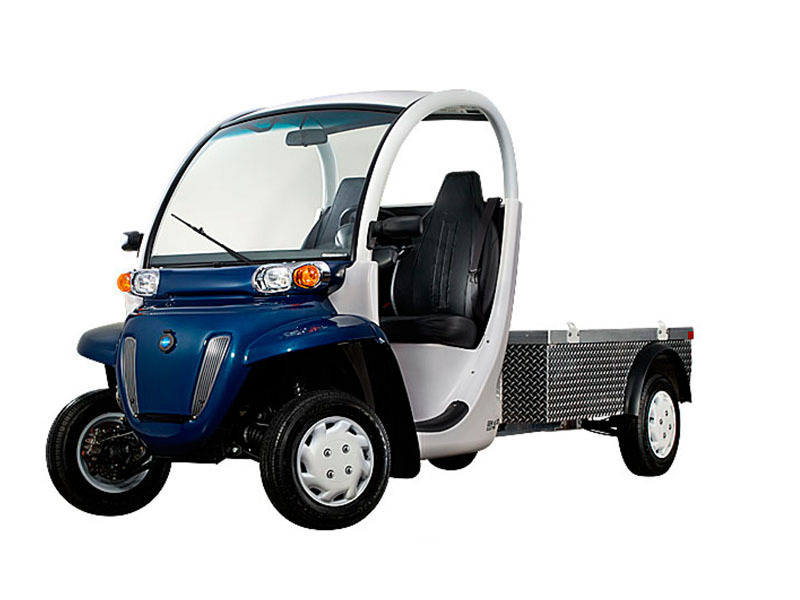 / 1857 mmCubic Feet of Cab: 124 ft. ³ / 3.5m3Wheelbase: 101 in. / 2565 mmTurning Radius: 207 in. / 5258 mmGround Clearance: 8 in. / 203 mmTires: 13 in., 155/80 R13Top Speed: 25 mphNOTES:Polaris® LSVs comply with the NHTSA Low-Speed Vehicles rules and regulations and can be operated on many streets with posted speed limits of 35 mph or less. Check local laws regarding street use and vehicle equipment requirements. Drivers must be at least 16 years old with a valid driver s license. Driver and passengers should always wear seat belts. 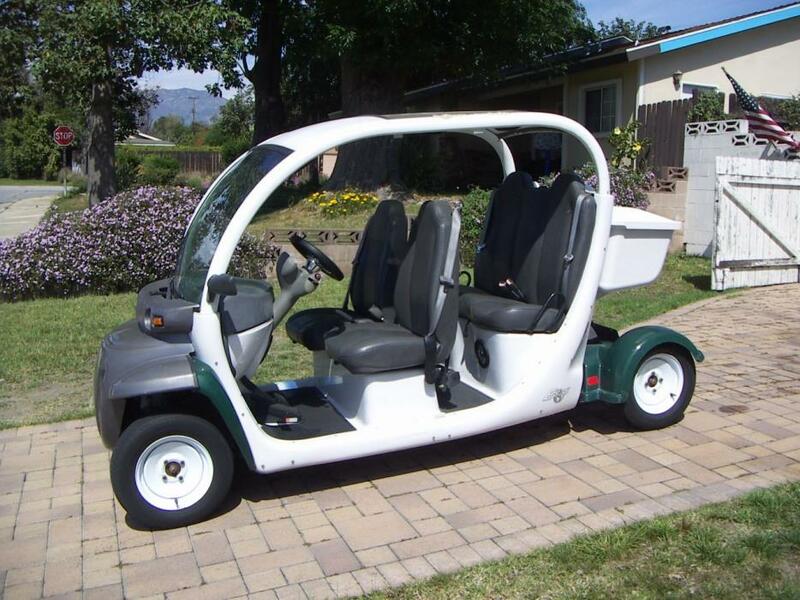 2001 GEM 4 Passenger Electric Vehicle. Batteries are 2 years old. Good Condition. Runs and Charges Well. 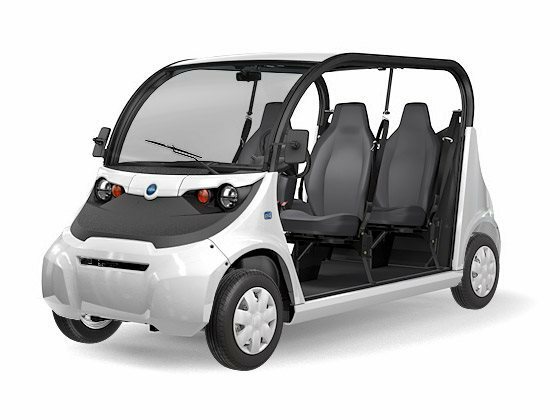 The GEM® eS two-passenger electric vehicle offers a two-person cab, truck bed, and compact turning radius. Overall in very good condition. Very good tires, brakes, all electrical work as normal. Only 5k miles. Seats are in excellent condition for the age. Have clean title in hand in my name and current tags until 12/2017. Works fine, but needs new battery pack. Price includes new battery pack, or make me a reasonable offer as-is. Includes cover as shown. Can help arrange delivery anywhere. 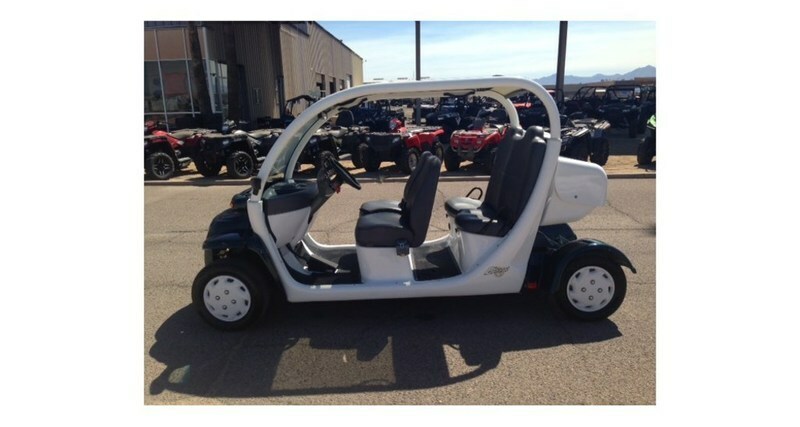 2012 GEM e2, Street Legal Electric Urban Commuter with Brand New BatteriesThe GEM e2 two-passenger electric vehicle that is perfect for efficient neighborhood, campus, or property transportation. 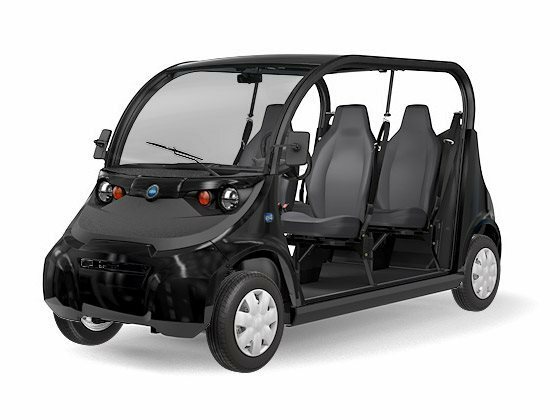 Key Standard Features Ergonomic seating for 2 Six 12-volt flooded electrolyte batteries 72-volt battery system with onboard charger NEW! Grab Handles NEW! Accessory Outlet NEW! Interior Dome Light NEW! Hazard Lights NEW! 2 Year Bumper-to-Bumper Warranty The Perfect Vehicle for Valet/Customer service Hospitality Parking enforcement Campus/Public safety patrol Mail delivery Police patrol Security patrolCommand-style cockpit: Heads up instrumentation and mini-van driving height provides optimum visibility on roads, properties or within buildings.Two-passenger seating: Perfect for transporting yourself and an occupant in a quick, convenient manner.Golf options: Add the LinksBack package and 12 turf tires for a comfortable day on the course.ReliableAluminum frame for lightweight strengthCorrosion ResistentLow Cost of Ownership4-wheel Braking24-month Bumper-to-Bumper WarrantyTough, resilient body panelsEasy to use on-board chargerVersatileStreet-LegalTop speed of 25mphRack-and-Pinion Steering for better manuevarability and controlEnergy EfficientDC motor with torque you need for hill climbingZero tailpipe for indoor or outdoor useCustomize to your need with options and accessoriesSuperiorBold, unique stylingSpacious 55"-wide CabErgonomic SeatingTinted Auto-Glass WindshieldLCD Instrument PanelStreet-rated tires3-point seatbeltsAdvanced suspension with coil-over-shock for smooth rideSpecificationsCurb Weight: 1,120 lb.GVW: 1,850 lb.Payload Capacity: 730 lb.Length: 99 in.Height: 70 in.Width: 55 in.Wheelbase: 72 in.Cubic Feet of Cab: 47 ft.Turning Radius: 12 ft.Tires: 12 in. 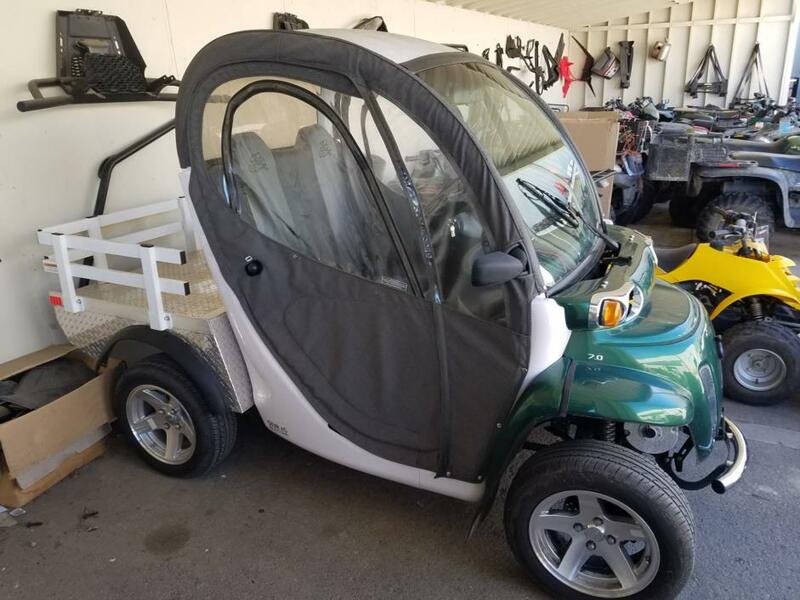 street ratedRange: Up to 35 milesTop Speed (High Mode): 25 mphTop Speed (Low Mode): 15 mphPopular AccessoriesMaint Free Gel Batteries: A maintenance-free alternative to the standard flooded lead acid batteries. Gel batteries offer more driving distance per charge and extended life.Rear Window Insert: Constructed of UV-tinted polycarbonate plastic, the rear window insert adds protection from the sun, wind, and rain.TrunkBack: This removable, lockable ABS plastic storage container with an aluminum frame features a hinged top that protects your goods from the elements. 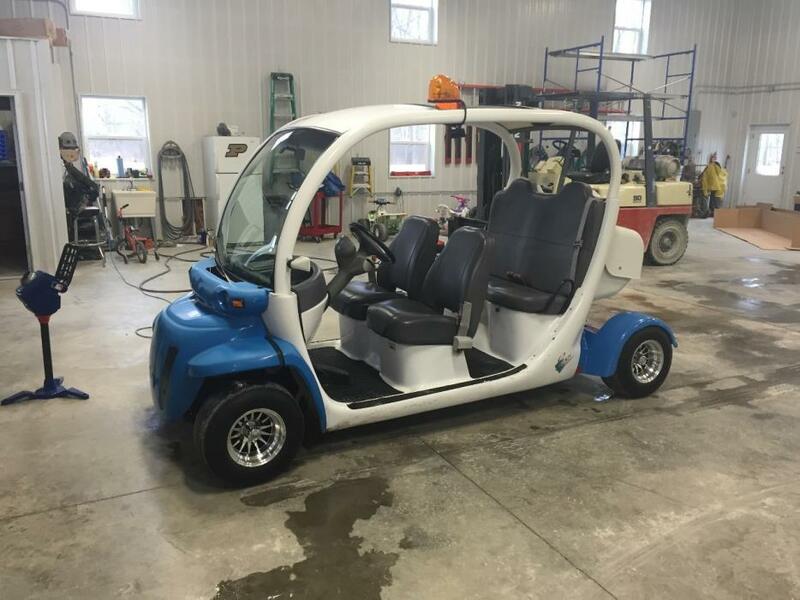 It measures 33" x 16" x 15" and has a 100 pound carrying capacity.7 HP Performance Motor: Heavy-duty DC motor with with continuous 7 hp rating and 21 hp peak during acceleration and climbing. 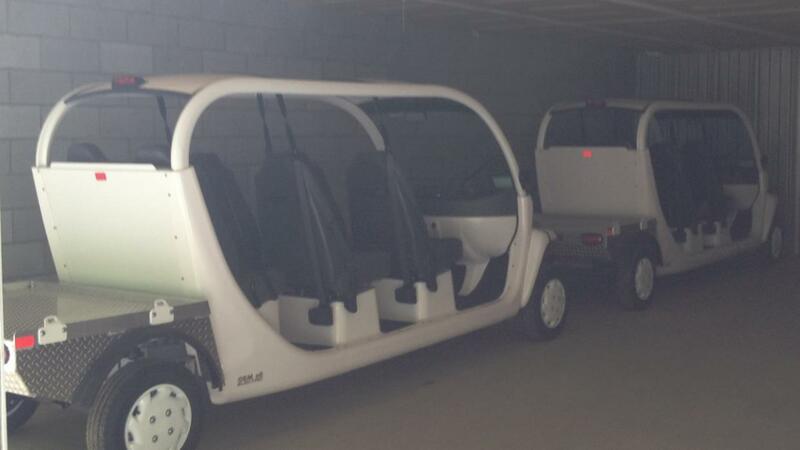 2 2013 GEM E6 (6 passenger) vehicles for sale. One vehicle has 2,700 miles and the other has 3,600. Overall in good condition. Only 8k miles. Gel batteries in good condition. After 24 hours after charging all batteries are 13.1 +/- 0.1V. 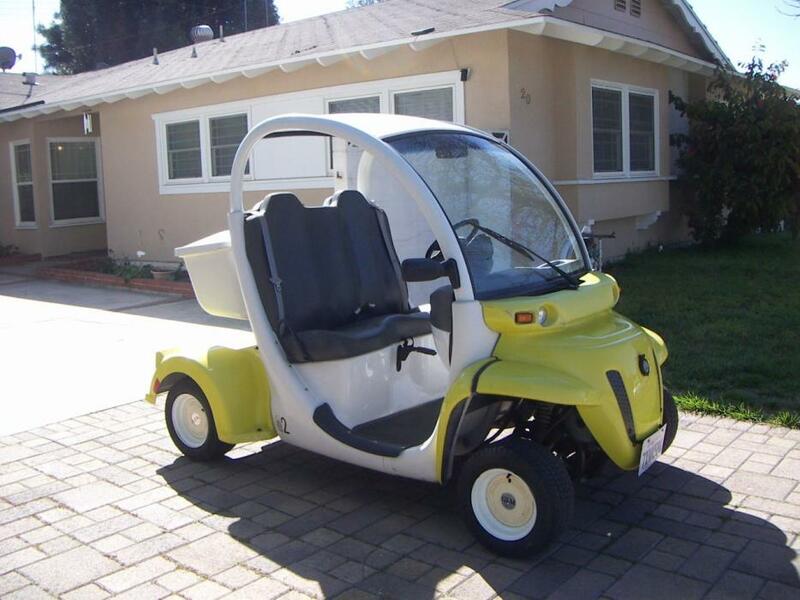 Has good acceleration.All lights work. Brakes are strong. Tires are good with about 50% tread. Seats are in excellent condition for the age. New aftermarket steering wheel.Sunroof has some cracks. Right fender is half broken. Right pass foot area has cracks. No radio.Includes partial rain fly. Front right needs zipper work.Includes charging cord.Have title in hand in my name. Current tags until 12/2017.Ready to use.Can help arrange delivery anywhere.